An ideal way to stop the spread of cancer through the body would be to detect the metastasis earlier. However, it is nearly impossible to find cancer cells while they are drifting through the blood stream. Or at least it was. Researchers from the University of Michigan believe they have found a way to capture metastatic cancer cells before they can cause further harm. A team led by Professor Lonnie Shea from the Department of Biomedical Engineering at the University of Michigan has created an implant that works almost like a sponge- trapping and absorb harmful cells. The implant is made of a micro-porous biomaterial, known as PLG, and planted under the skin or in abdominal fat. The implant encourages the body’s natural white blood cells to corral the cancerous cells. 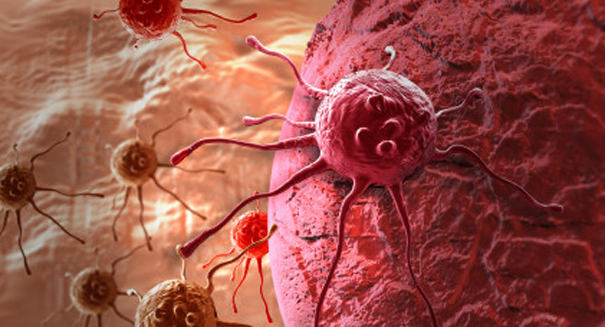 Cells that have broken off from a tumor often follow the immune cells to other areas of the body. The implant, which is only 0.2 inches in diameter, attracts the white blood cells, as any foreign object in the body would. This draws the cancer cells in and ultimately leads to the their capture by the implant. With special imaging techniques, scientists can distinguish cancerous cells from healthy ones. An added, and as of yet unexplained, bonus of the implant is that it appears to reduce the number of cancerous cells present at other sites as well. Thus far, the team as only been working with mice. They are eager to begin human clinical trials. “We need to see if metastatic cells will show up in the implant in humans like they did in the mice, and also if it’s a safe procedure and that we can use the same imaging to detect cancer cells,” said Shea.